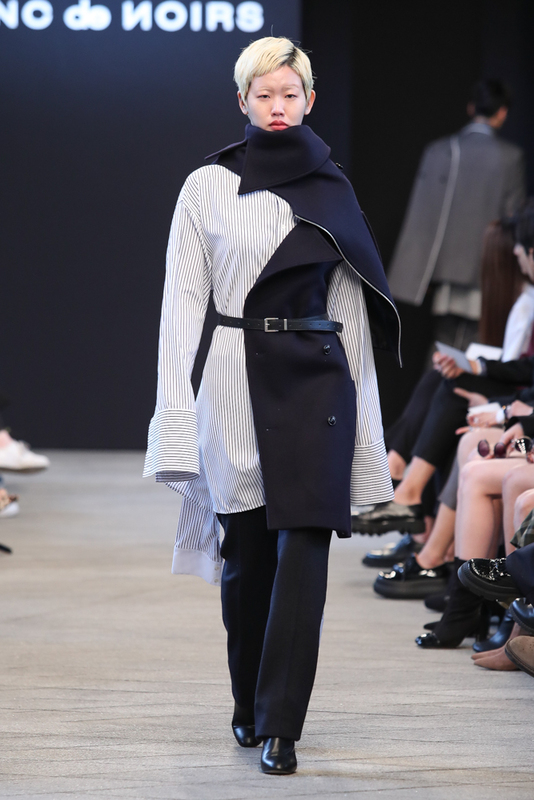 Seoul Fashion Week is an event that happens twice a year -in March and in October- during which Korean designers have the occasion to showcase their collection for the upcoming season. 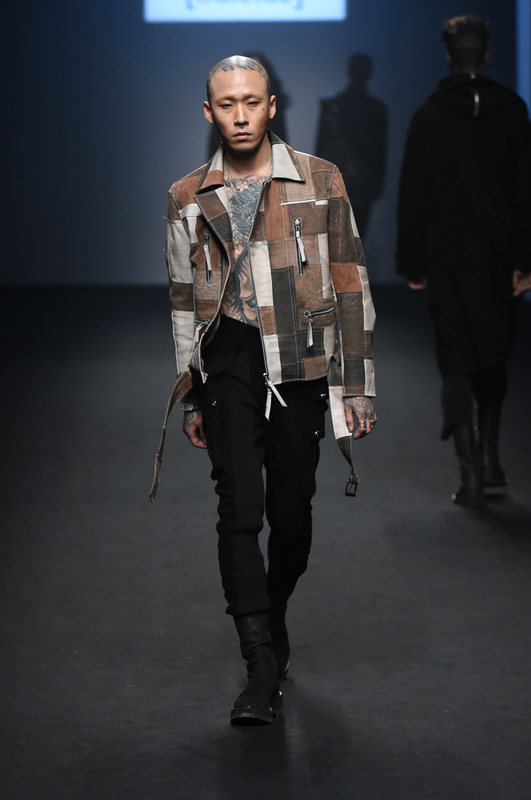 This event took place from March 20th to March 24th this year for the Fall/Winter collection. A total of 37 brands and new designers were present. 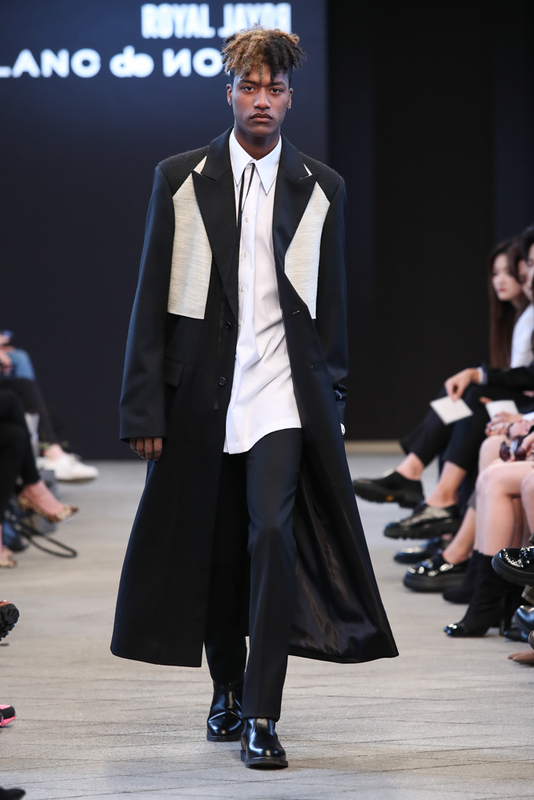 For the next season, trench coats, glen plaid and black and white will be in. Here’s a short brief of each brand that were present on March 20. The brand’s concept is that of a contemporary fashion, which encompasses a more minimalistic look compared to the Renaissance era. The clothing emanate a decadent atmosphere with most of it being black. Contrary to past seasons, however, the designer mixed and matched black and white rather than having all black ensembles. Bathrobe, PJs and checkered vests were also present, which is a first since the brand’s first appearance in fashion shows. A.Bell is a high-end contemporary fashion brand whose motto is ”unlimited degree of freedom”. This philosophy suggests the idea of being able to oversee the limitations and constraint encountered during the product’s life cycle. The theme for this season is the ”light”. It expresses the variability of colours and shapes of things when confronted to phenomenon such as reflection and refraction. The main colours for the new collection include ivory, brown, black and grey. 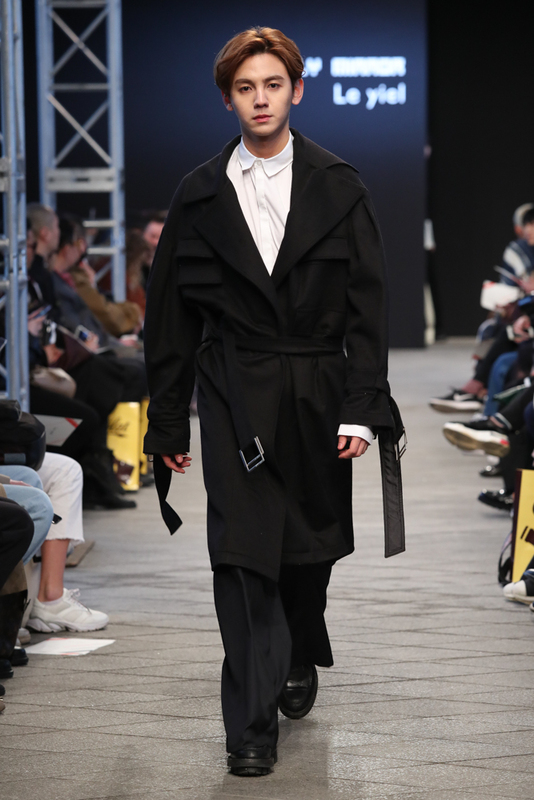 This brand put emphasis on the different ways you can wear an outfit by being experimental with silhouettes and by having fun with structural deconstruction. The style is atypical and asymmetrical cuts. 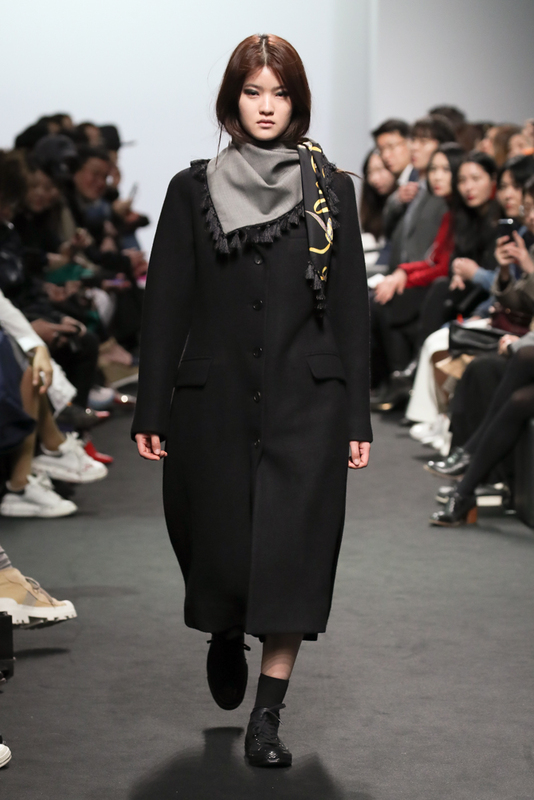 It was a first for BESFXXK to take part in Seoul Fashion Week, and it managed to grab the public’s attention. 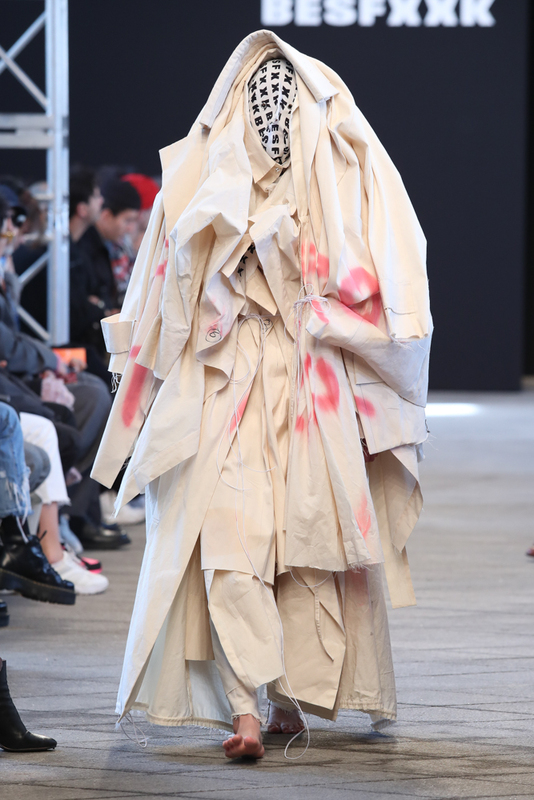 By making the models wear a mask, the focus was catered towards the clothing. 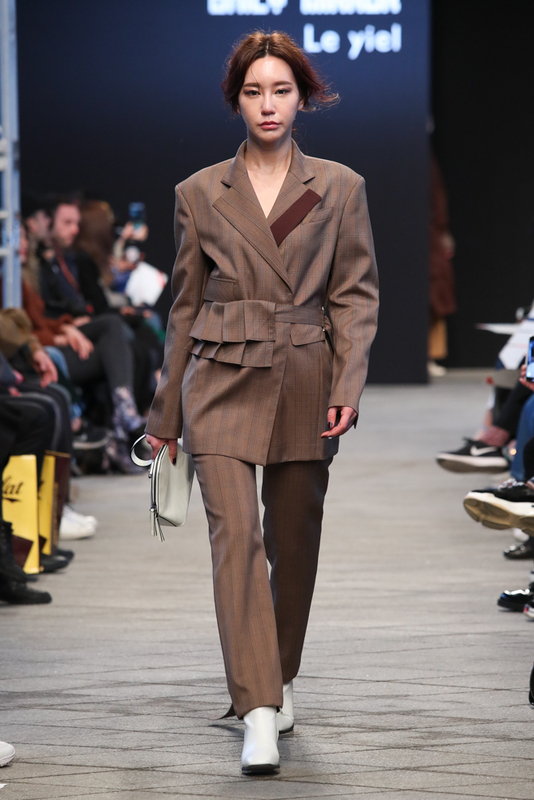 The designers are, however, not unfamiliar with fashion shows, as they have showcased their work in Paris, Milan, New York and London. 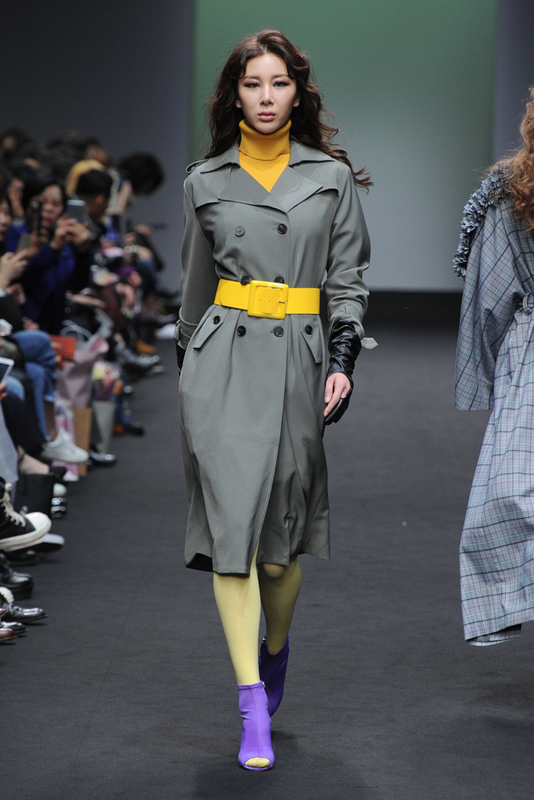 The concept behind the fall/winter collection is the combination of Kitsch fashion and a Garçonne look. The style is meant to be appealing to a bigger crowd rather than highly artistic individuals. Instead of putting emphasis on the curves of a woman’s anatomy, most of the clothes had a straight cut on the sides. 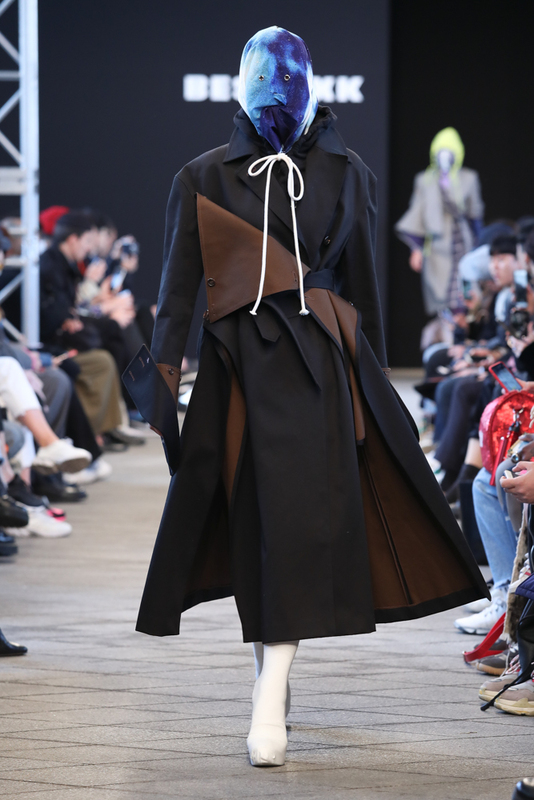 The outfits were leaning towards an androgynous feel and we can also see some elements of asymmetry, as the shape and length of each side of some coats differ. The colour scheme is mostly black with some hint of white and burgundy red. 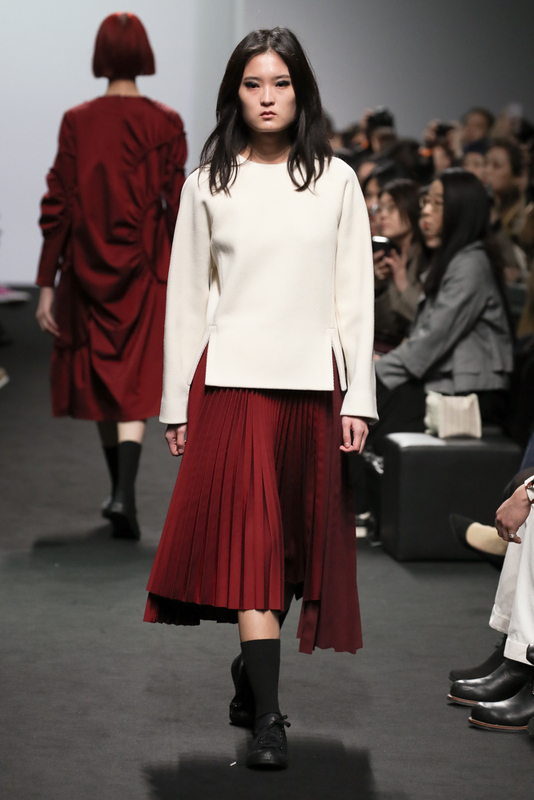 Pleated skirt is also making a return, so do not discard them from your wardrobe yet! The designer established this brand with the idea of creating outfits that would generate zero waste for the environment. The concepts of up-cycling and recycling are at the core of the creations. 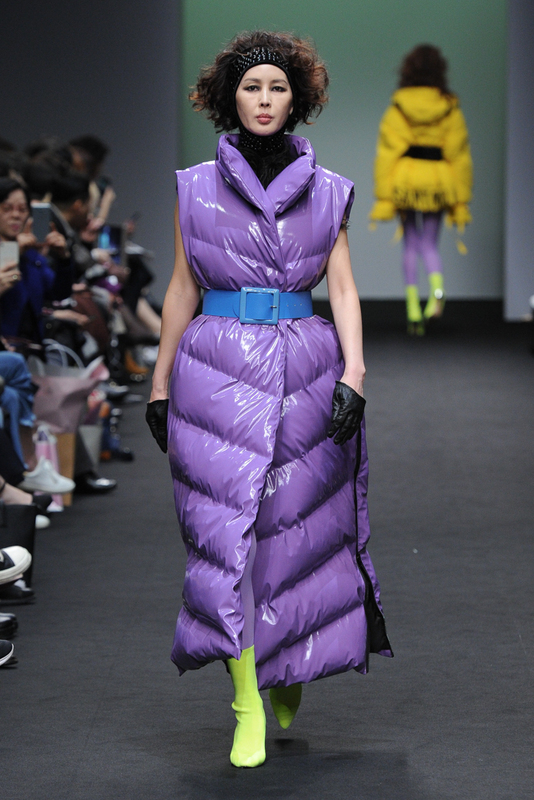 For the upcoming season, we can expect a lot of vibrant colours and holographic padded coats. 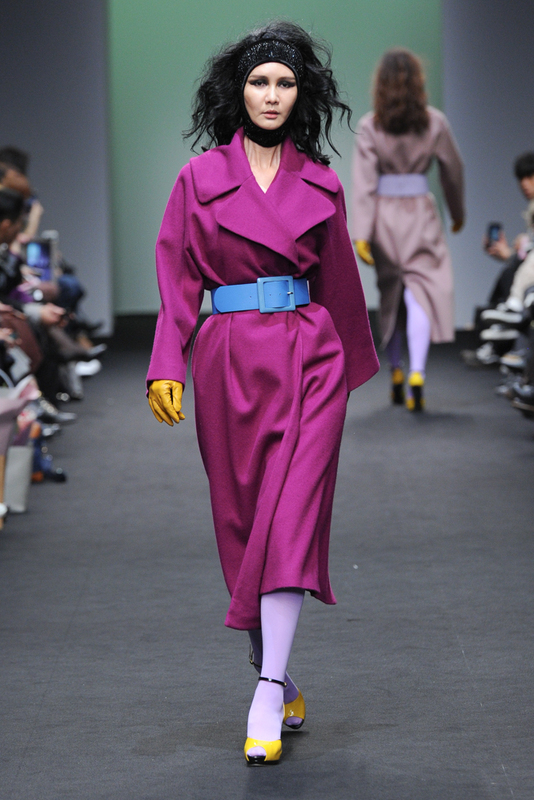 Colourful tights and heels are also trendy, as well as cinching the coats with a belt. 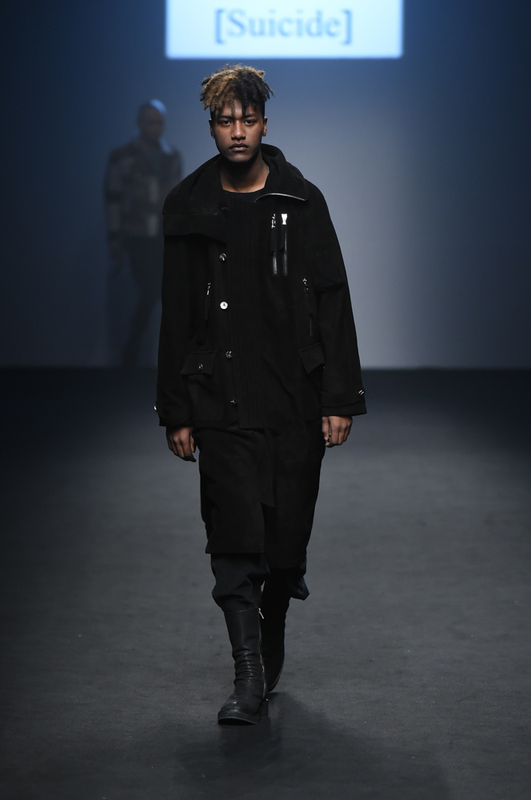 Being a high-end, contemporary avant-garde brand, KUMANN is a trend setter in the industry. 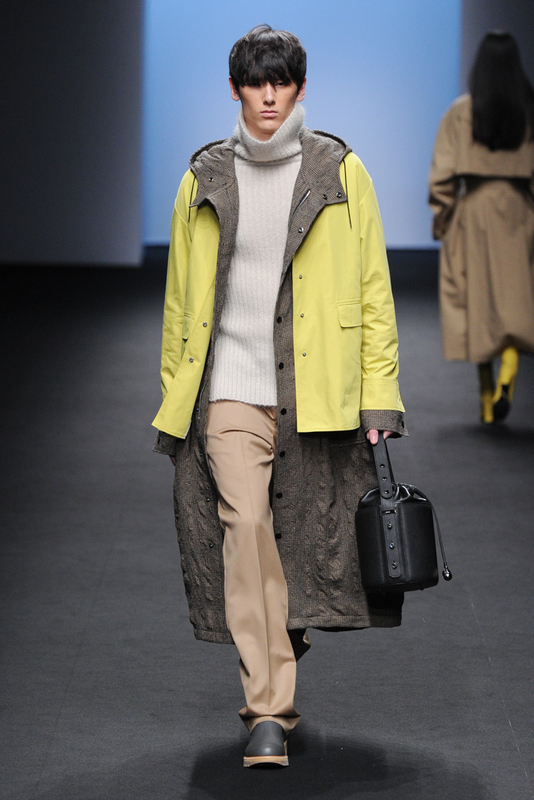 Three-dimensional design and tailoring are the words that would describe the Fall/ Winter collection. 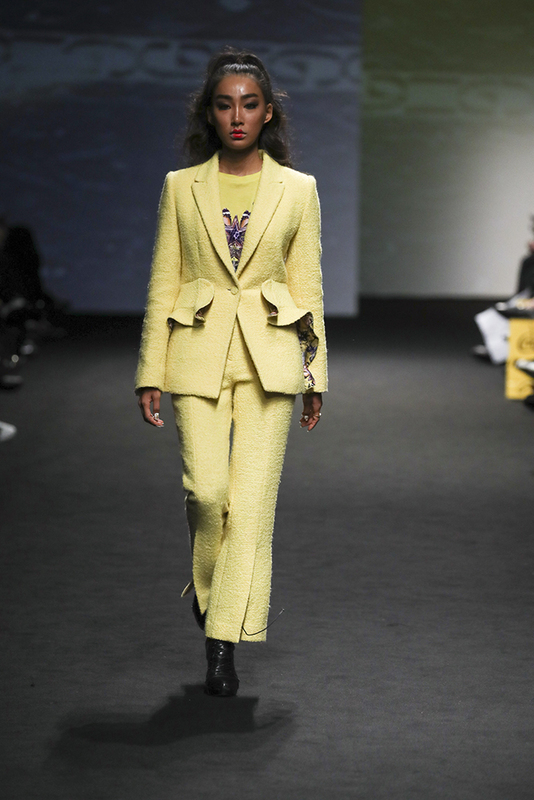 The designer wanted to incorporate the idea of sartorialism. Unlike the traditional monochrome and simple tailored coats, these coats have more details that allows one to show their personality. It is, however, not attention seeking to the point where it is a turn off. All in all, these outfits could still be wearable in a business setting, for example. The colours that were mostly used are beige, brown, grey, black and green. 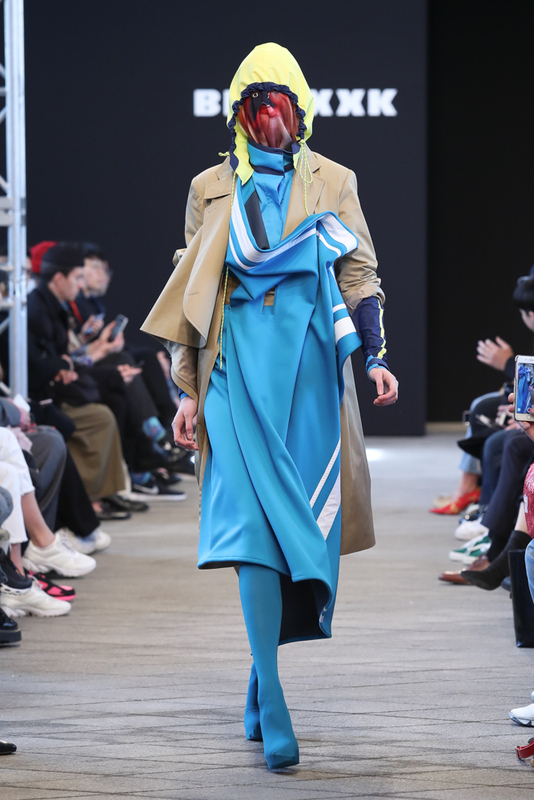 This brand is less known compared to others, as it has been introduced to the public through Seoul Fashion Week in 2016. 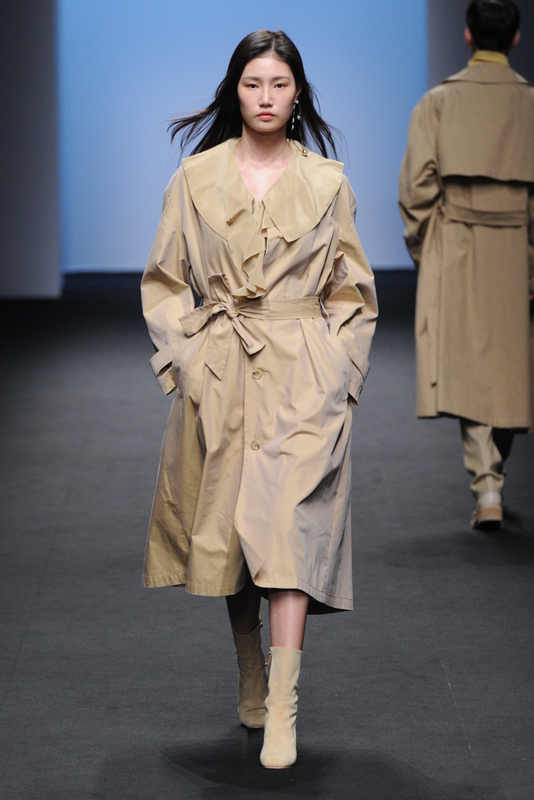 Nevertheless, it is making its name in the fashion industry, as it has many buyers from Japan and Singapore. The concept of the brand is the creation of outfits from mix and matching deconstructed ensembles as if we were doing a collage. The colours for the fall and winter season are black, white, grey and royal blue. Some of the outfits look comfortable enough to be worn casually, while others would probably attract some stares if you were to stroll down the streets. For the upcoming season, the clothing were inspired by the image of extreme glamor that emanate from Marie Antoinette and the Versailles castle. The outfits give off a vintage feel and the patterns reflect the paintings on the Versailles’ ceiling. Ruffles and layering were used to achieve volume. The colour scheme encompasses mostly black, white, grey, red and blue. 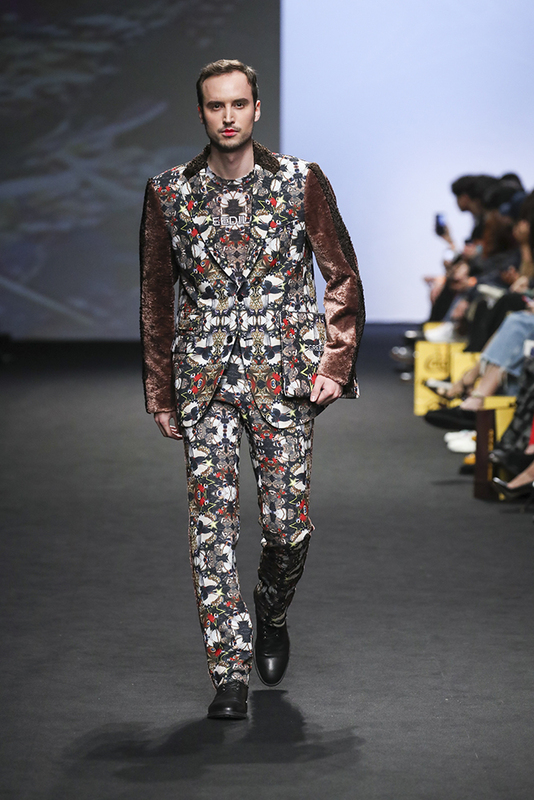 Compared to other brands that presented their collection that day, GREEDILOUS’ collection is the most extensive. I personally like the fact that the brand has dresses that could be worn in a ”normal” setting. 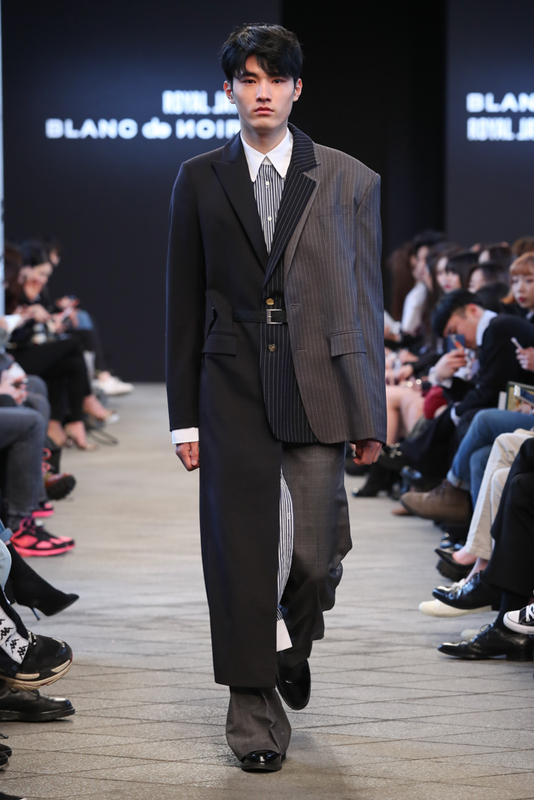 Caruso was launched in Korea in 1987 and has since then thrived to become one of the most coveted and influential menswear brand. Many male celebrities wear this designer’s clothing at special events. 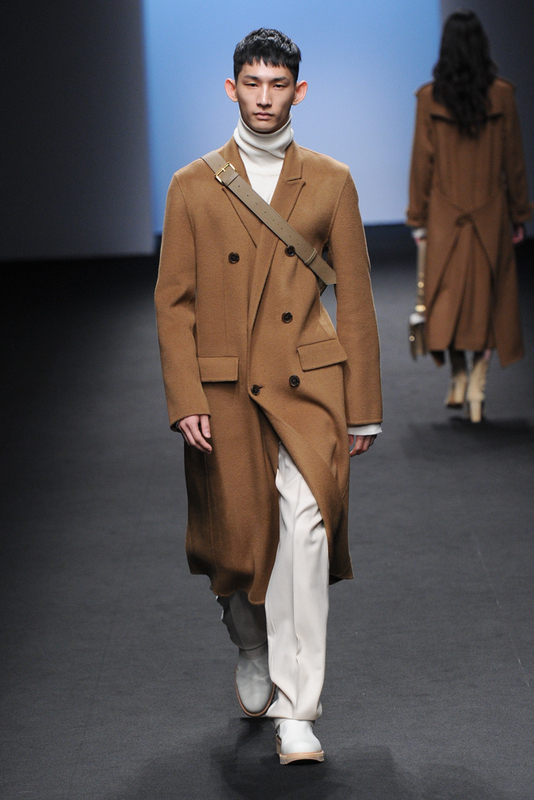 The usage of material such as wool, silk, cotton and linen gives a casual and comfortable feel. 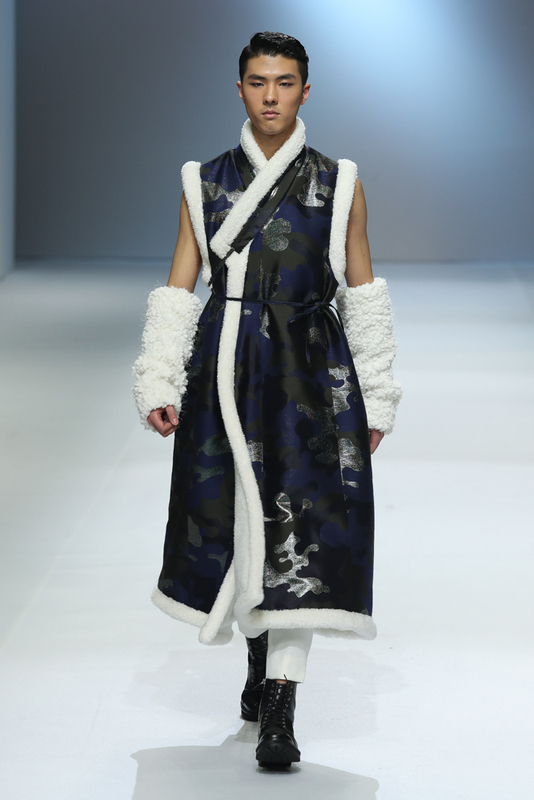 Hints of the Korean traditional costumes are incorporated in the outfits He notably tried to redefine men’s masculinity in an era where it is acceptable for men to groom themselves. 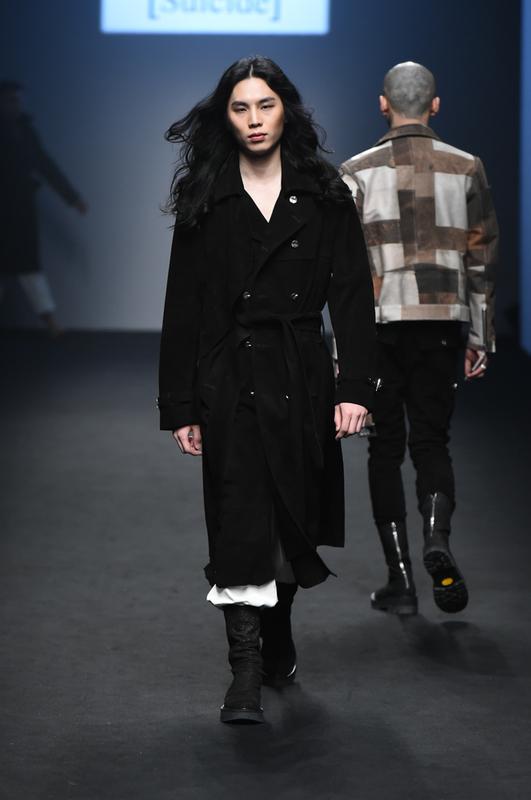 Many of the models were wearing combat boots to represent the fact that Korean men have to go through military training, and that experience has an impact on one’s identity. The outfits included different colours and one of the model was even seen sporting a see through blouse. 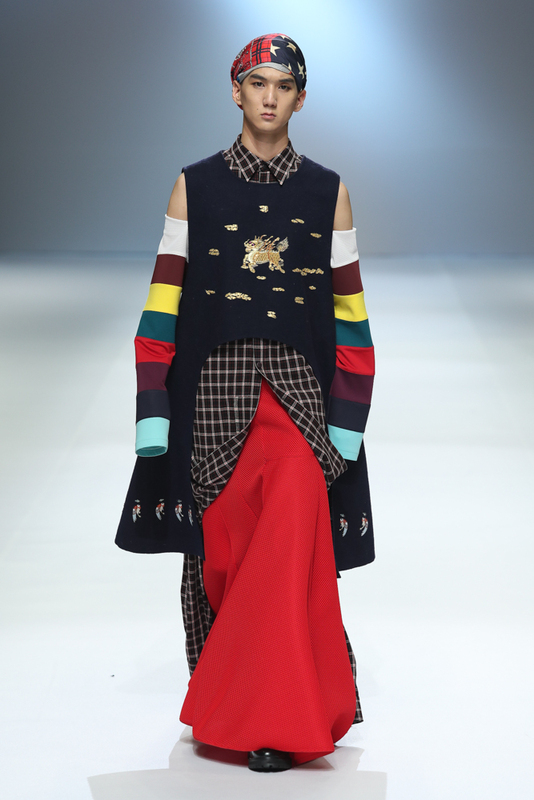 This collection reflects the joys of childhood through bright colours and fun and unique designs such as blocs of colours. 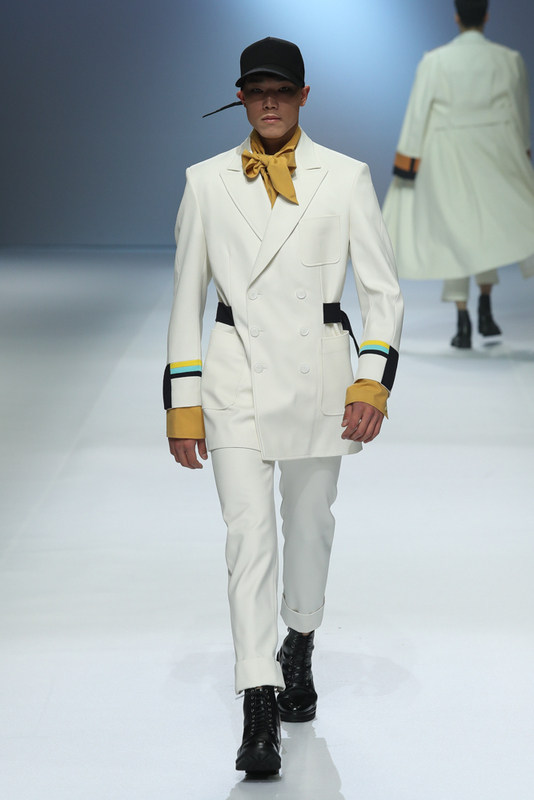 The overall feeling is light with sweet colours and white tones. 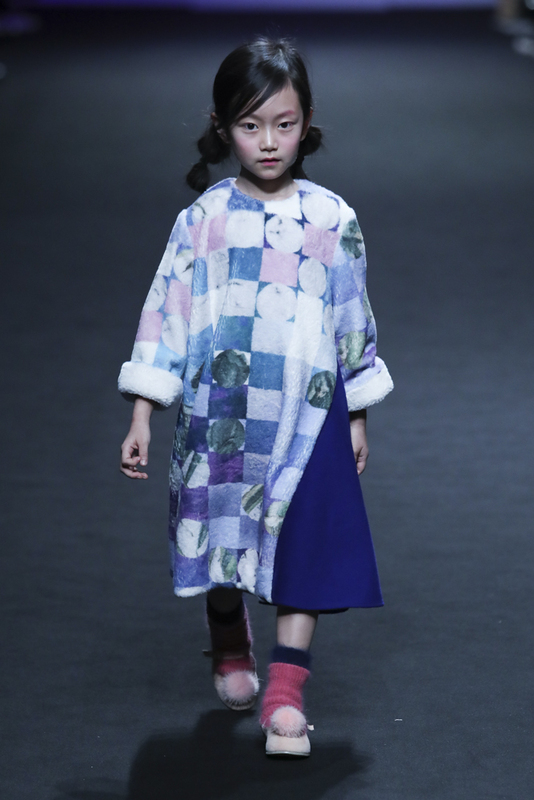 It is the only brand from the first day of Fashion Week that included a child model and whose imagine is younger, leaning towards a feminine side. Many of the clothing would be wearable on a daily basis. Like many brand this season, Daily Mirror’s outfits are black, white, beige or brown. No pastel or vibrant colours were incorporated. 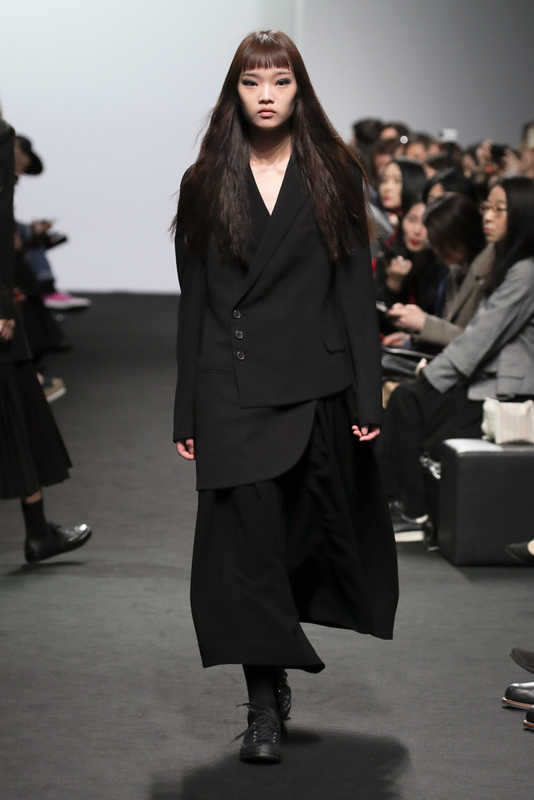 The clothing was rather oversized and more plain in terms of design, giving a minimalist vibe.